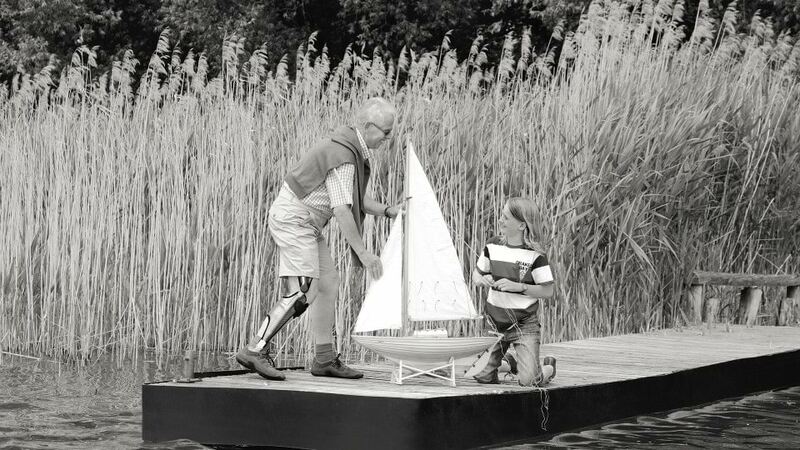 The E-MAG Active was developed for users who, due to a partial paralysis or a complete failure of the knee extensor muscles, are unable to stabilise their knee unassisted. 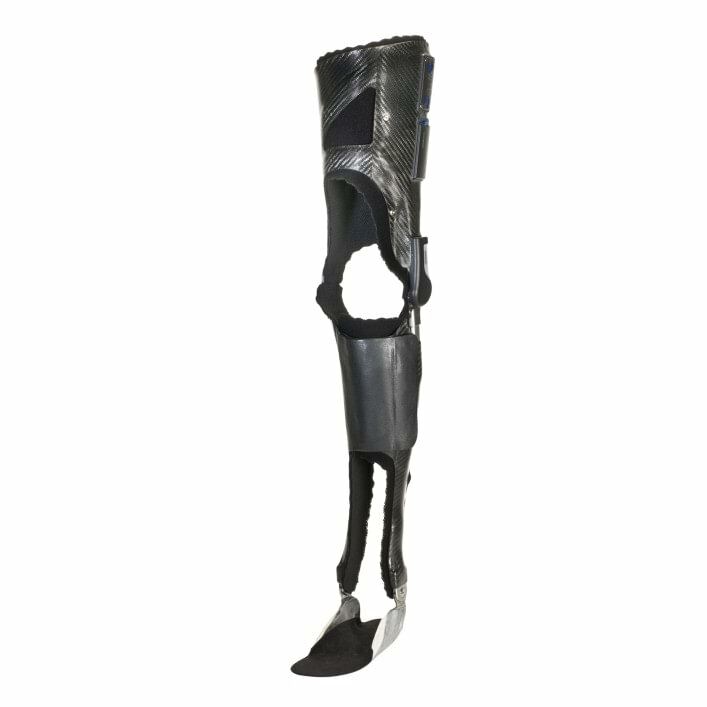 An intelligent sensor system measures the leg position while walking and controls the orthosis joint accordingly. This means that the knee joint is automatically opened while walking; it locks in the stance phase for safe support and unlocks in the swing phase for a more natural gait. Even users who have no ankle functionality whatsoever are able to use the E-MAG Active. The battery can be removed for recharging. 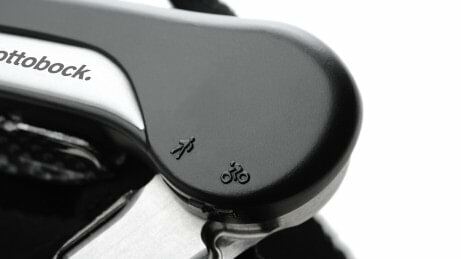 You can switch to bicycling mode with this switch. The control electronics process all data and control the knee joint functions. 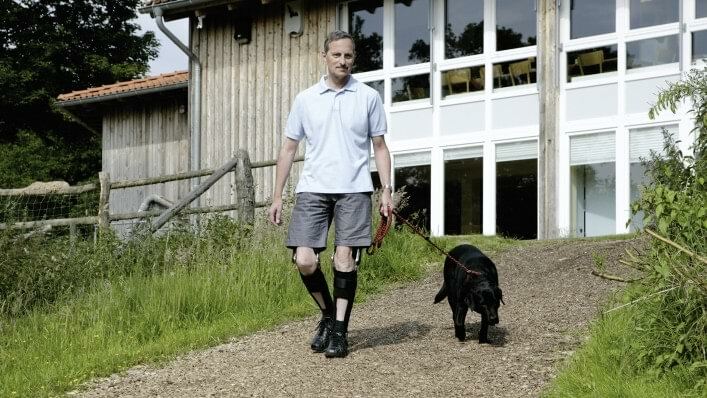 A more natural gait pattern and the desire not to always have to concentrate on movements: These are requirements shared by many orthosis wearers. Intelligent electronics ensure that you walk more naturally and smoothly. A magnet automatically opens the joint and your hands remain free. You can focus on other things in life that are important to you – your family, ventures or hobby. Movements are easier for you with the E-MAG Active: You may be able to do more again and be more active than before. This can have a positive effect on your muscles and your overall physical health, for example your circulatory system. Thanks to the more natural gait pattern, the need for compensating movements is virtually eliminated, relieving strain on the contralateral side of the body and therefore preventing signs of wear. When you change the E-MAG Active to unlocked mode using a small button, you can even go cycling, for example on a therapy bike. Other sports activities such as Nordic Walking are possible as well thanks to the joint's intelligent control unit. With its enclosed design, the E-MAG Active is protected against external influences such as impacts and against tangled clothing. The joint surfaces form a homogenous, enclosed face even when the joint is flexed. 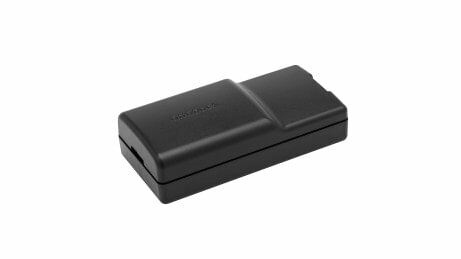 Depending on the movements you perform, the E-MAG Active lasts for up to 5,000 steps. This corresponds to about 8 km and is usually sufficient for a day. You can easily charge the battery again overnight. Ongoing operating noises can be perceived as bothersome and unpleasant in many situations. The magnet that unlocks the joint while walking works quickly and quietly – making it inconspicuous in everyday life. The E-MAG Active secures your knee joint at a crucial moment: in the stance phase of the gait cycle. And also in the phase where your weight is supported by the affected leg. It releases your joint again for the swing phase, that is when you swing the leg through. 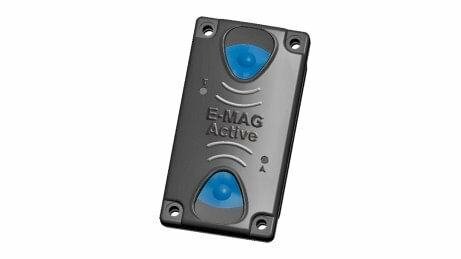 The E-MAG Active is unlocked by your walking movements at every step and locks again before you step down with the foot. This is made possible by an intelligent sensor system, which measures the position of the leg while walking and sends this information to the electronics in the joint. Then the magnet unlocks the joint – quickly and quietly. This is also how the joint was named: E-MAG for electromagnetic.